Are you still into holos like I am? 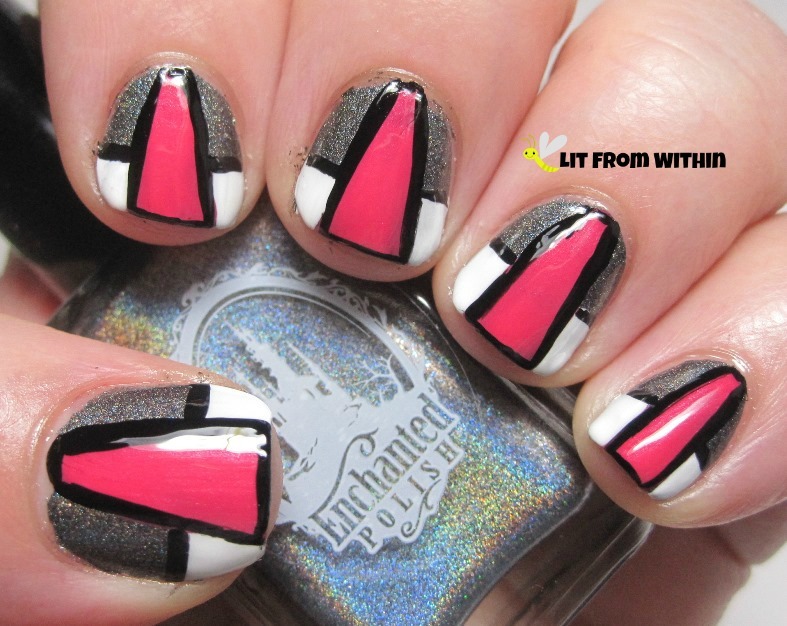 Do you get caught up in the frenzy of an Enchanted Polish restock? It's like Black Friday at Walmart, with 10,000 people trampling the virtual doors to get 1 of the 10 computers they have on sale. 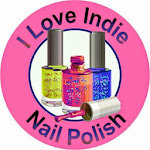 Her polishes sell out within seconds. 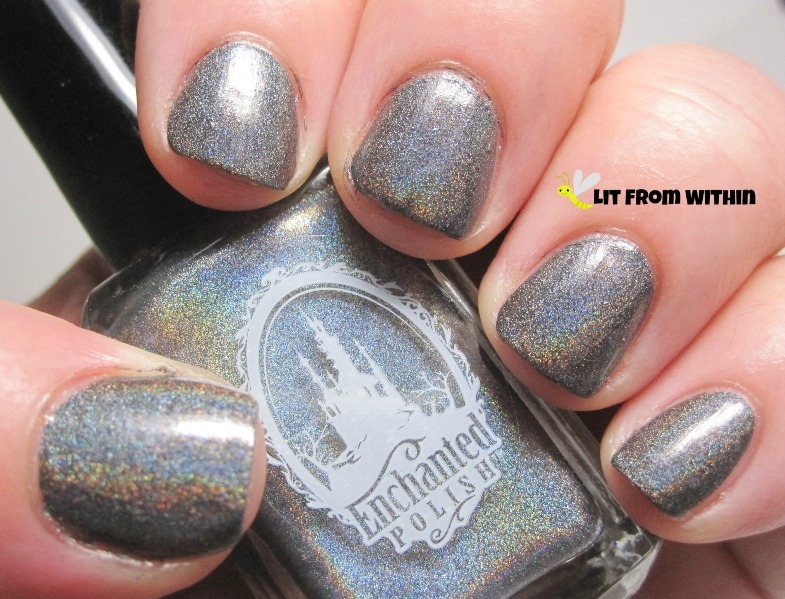 I was happy to get October 2013, a blackish-blue holo. You know I couldn't leave it alone, though. When I saw this picture on Instagram by NailPorn, I actually didn't like it right away, but it struck something, so I Pinned it. Later on, I came back to it, and decided that I liked the idea of the pop of color in the center, and thought it would look better on my short nails. 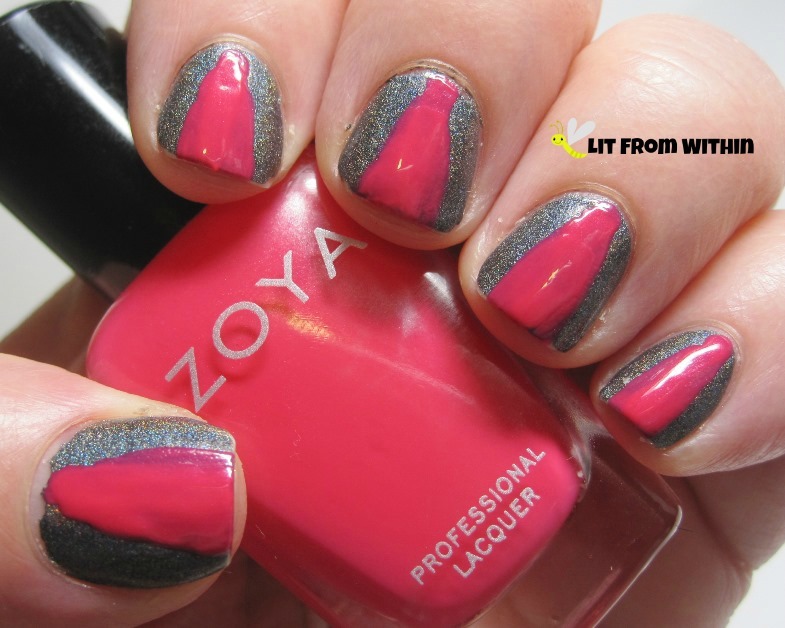 So, I got out a Zoya Yana, a bright pink, and made a triangle shape with it. 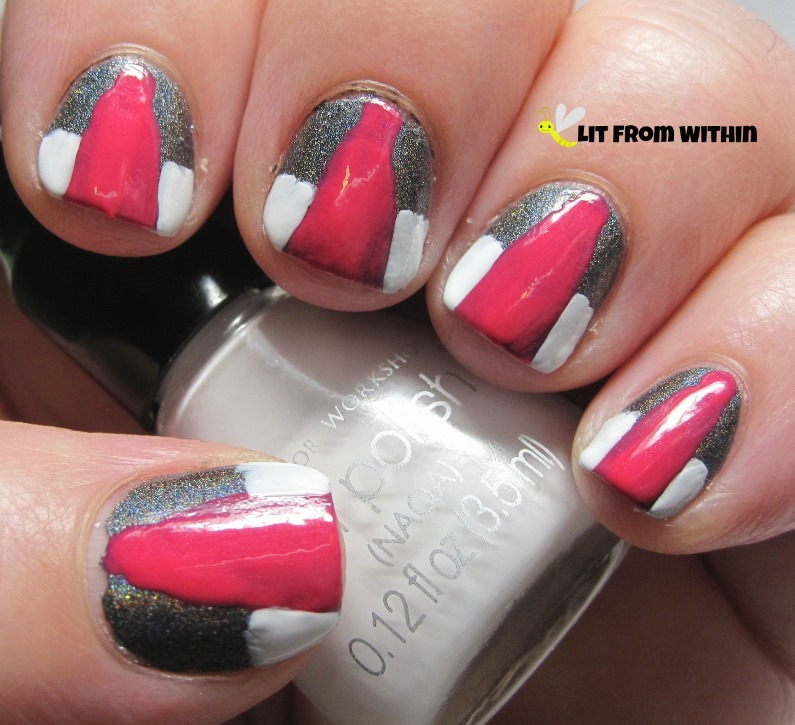 A white striper adds a pop on the lower half of each nail. 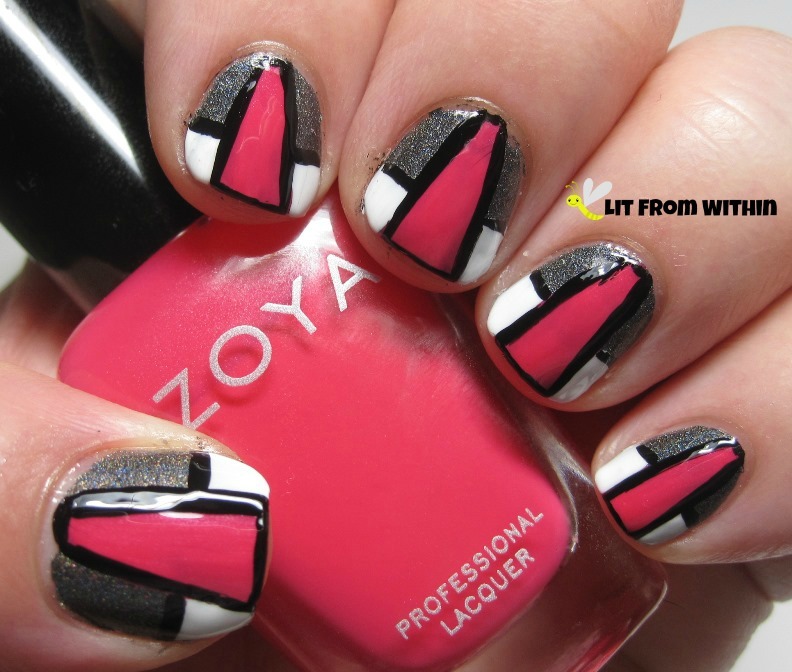 Nothing brings a nail art look together like a black striper. Outlining makes the look very modern-arty. Artsy-fartsy? Oops, my inner 12-year old just came out. Topcoat to smooth it all out. I love how the pink just lights up! 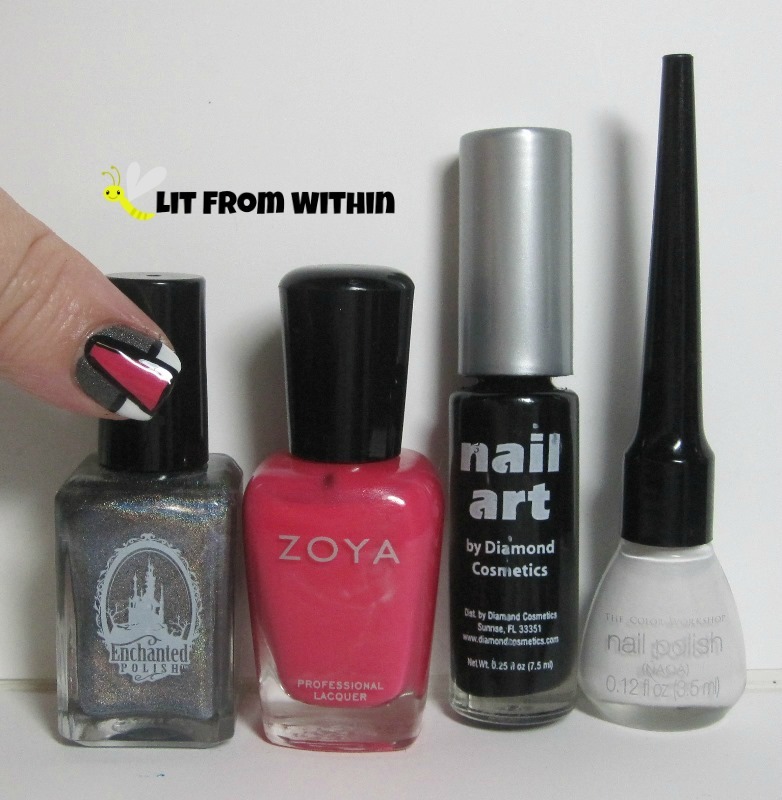 Bottle shot: Enchanted Polish October 2013, Zoya Yana, art stripers in black and white. 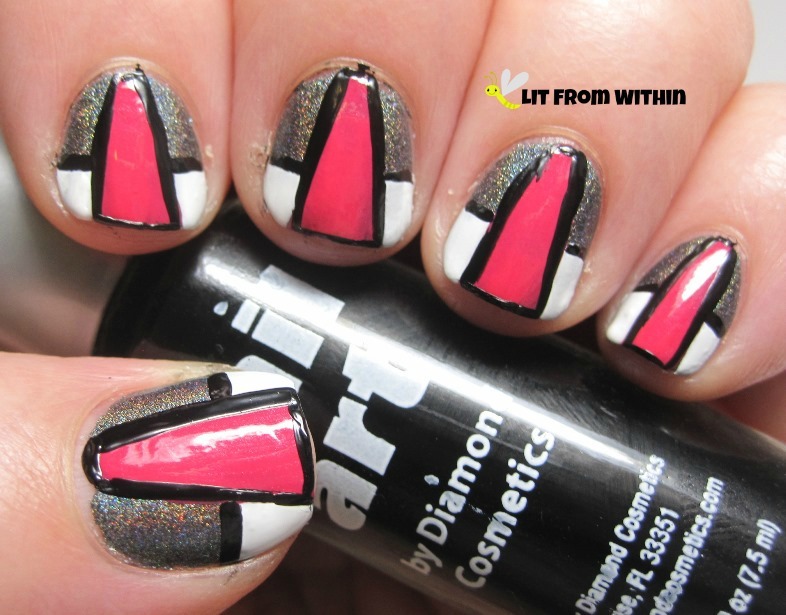 I love this with the pink, but a bright yellow might also look good! What color would you use? It is very pretty, I agree! I love dark holos. I never took Art Appreciation.. and I almost failed Music Appreciation. I am found out! I was totally making it up. lol! Go Blue Lightning, Go, Go! Sunday Stamping - Happy Chinese New Year!